Lauren's Boookshelf: April 2017 Book Haul! Huh, at the beginning of the month I envisioned myself getting a lot more books than I ended up with. So far this year I've had at least 10 physical books and an abundance of eBooks. But...I only got 8 regular books (I only paid for 5 of them though), 3 eBooks (le gasp! ), 2 audiobooks, and NO merch! Probably because there are so many releases in May and I'm saving my money. Plus, my computer broke and I had to get it fixed which took pretty much all of one of my paychecks...Any who, I'm excited for all of these books. Let's just dive in. So...I'm gonna talk about these together even though I actually got them at separate times. 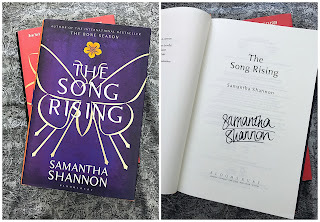 Starting off my bookhaul we have The Mime Order and The Song Rising by Samantha Shannon. These are books 2 and 3 in The Bone Season series and I'm in love. I got book 2 off of BookOutlet for really cheap (hollah! 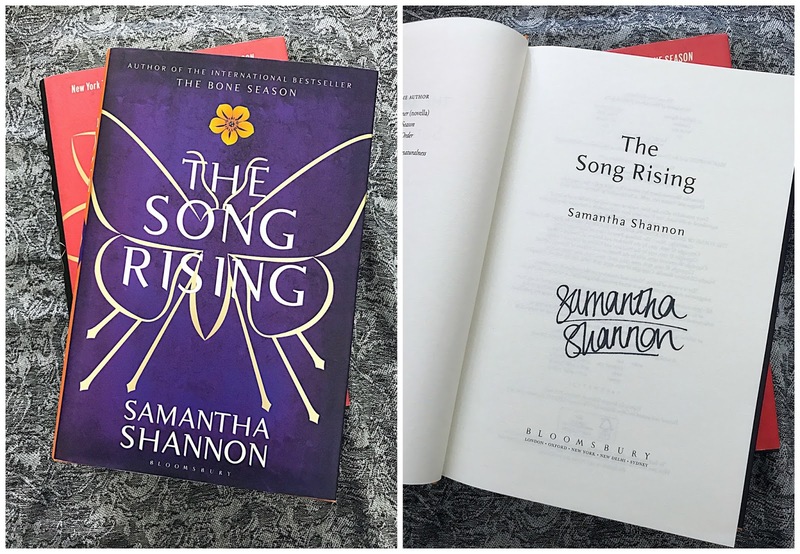 ), and my grandma bought me the collector's edition of The Song Rising. It's so freaking gorgeous! 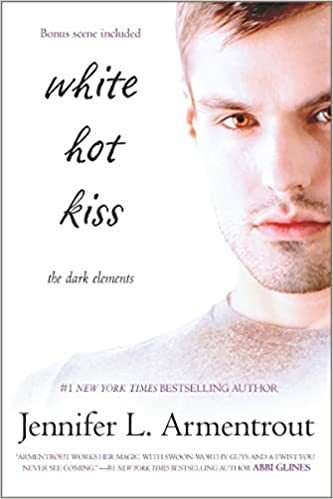 Sadly, I have not had the chance to continue on with book 2 as this month was stressful as freak and I have 5 books I need to review by June. Hopefully I can continue on in May because I'm DYING to know what happens to my babies next! 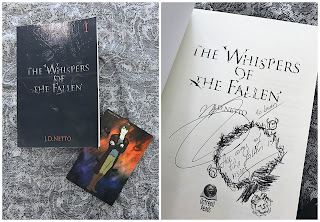 I did order this from his website and it came signed (yay!). It also is one of the original editions, which I love even though I also love the new editions. I don't know when I'm going to get to this but I'm excited for when I do! Then there were a couple preorders I had for new releases this month. First, I got Alex & Eliza by Melissa De La Cruz. I LOVE Hamilton, and when I found out that Melissa was writing this story and publishing it, I was so freaking excited. I'm not sure when I'm going to be able to get around to reading it, but I'm just excited to have it in my hands nonetheless. The second preorder I picked up was Spindle Fire by Lexa Hillyer. I've had my eye on this one since October or November and I'm excited to finally have this sleeping beauty retelling in my hands. 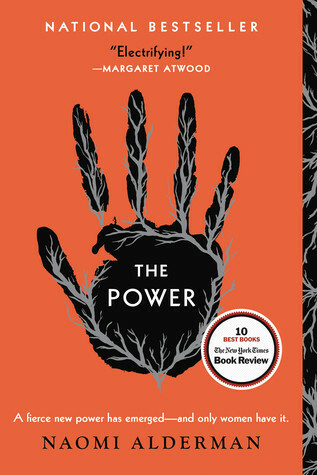 I love retellings and this one intrigued me to no end. Again, I'm not sure when I'm going to get around to reading this but I'm excited for when that time comes! Then I bought Strange the Dreamer by Laini Taylor. This is a gorgeous book and while I know nothing about it, the hype and praise around this book is making me excited. I am interested but I don't know when I'm going to dive into this novel. Still, the UK cover is absolutely stunning and this cover was one of the reasons I decided to buy it! Lastly, my school library was giving away books that they weren't going to put on shelves and I picked up 7. I gave one to my sister and the others aren't super exciting so I'm only going to talk about two of them that really interest me. The first is Shadowchild by C.E. Thornton. I read the synopsis for this book and it sounded real interesting, so I added it to my pile of books I was bringing home. 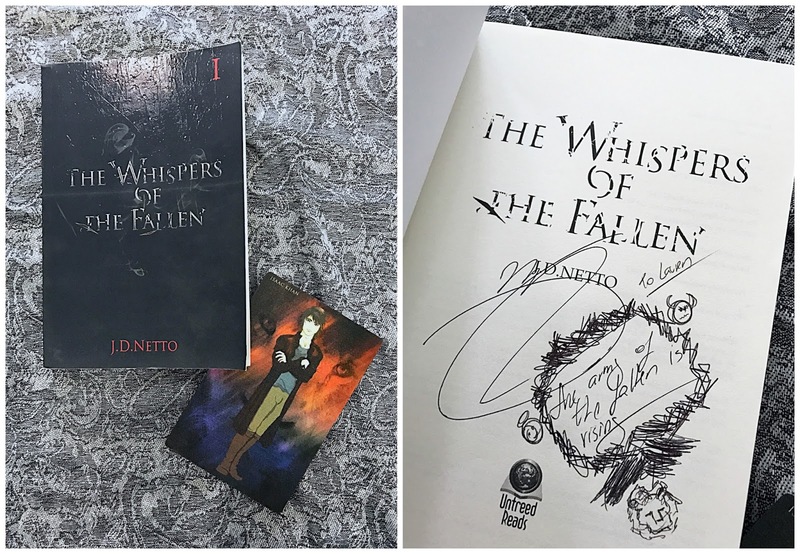 Plus, later when I was just flipping through the books, I saw that this one was signed! Wow. 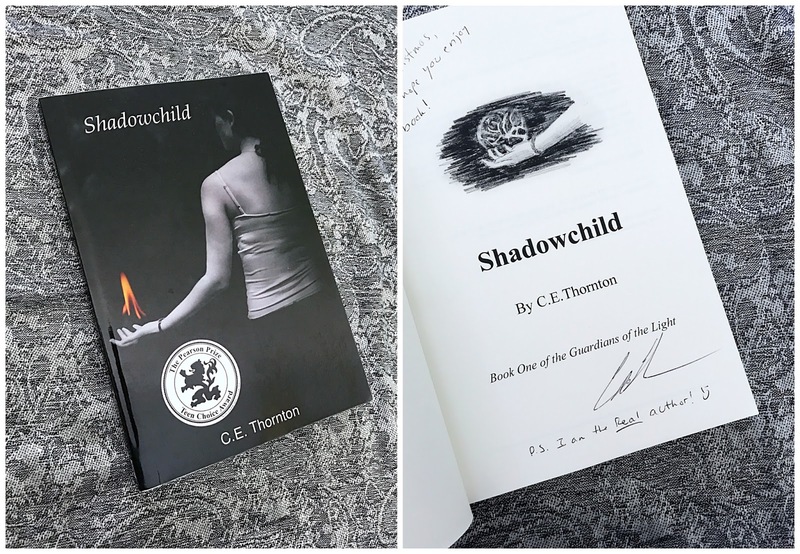 A free, never-been-read, signed book. I'm pretty excited! The second book I'm going to talk about from my free pile is The Return of the King by J.R.R. Tolkien. I own the first two books in the LOTR trilogy and I haven't read them yet. I adore the movies but I haven't had a chance to read the books. They kind of terrify me if we're being honest. This book doesn't match the rest of my series but I'm ok with it because it was free and I'm probably not going to read it for a while. Now onto the eBooks I bought this month. I did get a few free eBooks, but I only bought 3. Woohoo! Go Lauren! Look at you saving your money! I own this series in physical copies, but when I saw that this book was a kindle daily deal I pounced on it! I love this series and just being able to have these books in eBook format means that I can bring this amazingness to college with me when I do head to college! I loved The Bone Season when I read it this month and I decided that of course I needed this companion/information booklet! 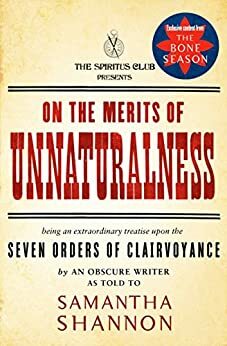 I think that this will definitely help with learning the different orders of clairvoyance and types of voyants. I think it's just something that every TBS fan needs. I'd had my eye on this one for a while. Unfortunately, I got about a third of the way through and ended up DNF'ing it. I plan on trying again sometime soon but I had a lot higher hopes for this book rather than what was going on. I also picked up 2 audiobooks this month. Even though I had no audible credits, Amazon allows us to buy certain kindle eBooks and their audio companions together for a cheaper price. Thus, since I already owned each of these eBooks, I got the audiobooks for pretty cheap ($3 each). 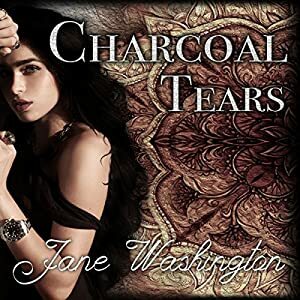 First, I bought Charcoal Tears by Jane Washington, narrated by Laurel Schroeder. I haven't listened to this yet, but I'm excited. 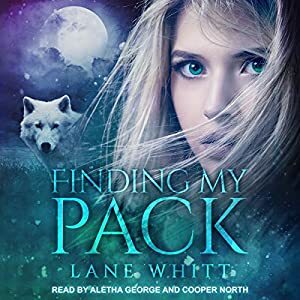 I love this series and I didn't even know an audiobook was in the works until it had been released. When I do need an audiobook for a long car ride, I'm definitely going to listen to this one. Again, this is another series that I absolutely love. The third book was supposed to come out at the end of April but it ended up getting pushed back even later. Still, I'm excited to have this. The narrator is pretty awesome and I'm excited to listen to the emotions and different voices of the characters. Well, there you have it. My book haul for April. I'm pretty excited about the books I picked up but I am even more excited about May, which is the month of releases. And I'm done with school after the first week of May, so I'm pretty excited.